Behind every building across the world, there is a team of dedicated custodial workers. Today, October 2, is National Custodial Workers Recognition Day. It’s a day set aside to celebrate and show appreciation to the many men and women who keep the places where we work, shop, learn, play, and live running smoothly. 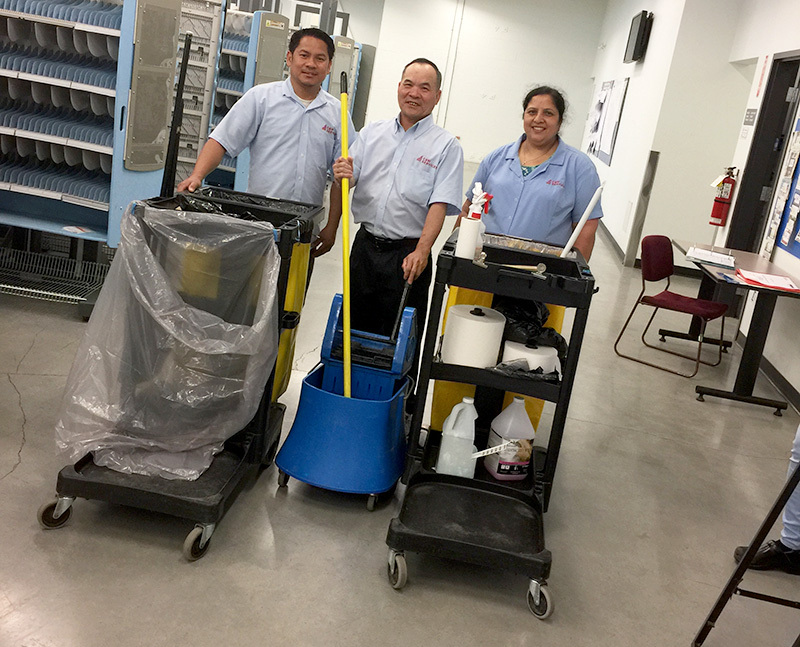 At C&W Services, we celebrate our janitorial staff not only today on National Custodial Workers Recognition Day, but every day. Two years ago, we launched a new name and a new brand. Since then, we have taken great pride in presenting personal profiles of our employees and the inspiring stories that are the hallmark of our service to our customers. These stories are a small way that we recognize the great work our teams do every day as they ensure that our customers’ facilities remain productive, clean, and safe. Front line workers, like custodians, are an especially critical part of this work. In addition to keeping buildings productive, clean, and safe, custodians also act as ambassadors and contribute to important first impressions and the overall success of the company they represent. The following stories are just a few examples of those who inspire us every day. While they each tell an individual story, they also reflect our company as a whole, and our customers’ experience with us. .
Service Has a New Name: Juan Out of 5,000 people on a New Jersey-based campus, Juan, a C&W Services member, stood out so much for his service that he was recognized by a student via a letter as well as a certificate from the dean. Service Has a New Name: Wanda Beloved janitor Ms. Wanda made such a huge impact on a college freshman, the student wrote to us to highlight the importance Wanda had on her college career. Service Has a New Name: Ruben 30 years ago, Ruben started as a janitor at C&W Services. Today, he’s an account manager at a pharmaceutical company in Boston—a position he’s held for 22 years. Service Has a New Name: Myriam Myriam, now a manager at Gillette Stadium, started as a custodian in 2001. To better communicate with her 130-member team, she self-taught herself French and Spanish. Service Has a New Name: Maria Maria started as a night cleaner with C&W Services. She taught herself English on the job and moved up to a managerial role. If you enjoyed these stories, join our exclusive subscriber updates list to receive more. Every two weeks, we send an update featuring employee stories like these, as well as industry information for facilities services professionals. National Custodial Workers Recognition Day is an important day to recognize and celebrate the men and women who impact our lives and workplaces. Today, we cheer on all the individuals at our firm and in the FM industry as a whole who are committed to providing productive, clean, and safe facilities.